Recently, the Obama administration's plan to restore endangered Columbia and Snake River salmon was declared illegal by U.S. District Judge James Redden in Portland, Ore. The Columbia/Snake was once the most productive salmon watershed on earth; now 13 of its 19 salmon stocks are threatened or endangered by extinction, with total numbers at 1 percent of historic levels. How the administration responds to the verdict is vital for every West Coast state, but the national stakes are also high - for taxpayers and jobs, for our natural heritage and for the Endangered Species Act. The stakes are rooted in this fact: the largest killer of Columbia and Snake River salmon is the government itself, which owns and operates dams that kill more of the endangered iconic fish than all other human factors combined. Judge Redden has now found three consecutive plans illegal, from three administrations over 11 years, because each put protecting status quo operations of federal dams above science and the law. This is no activist judge; he has been patient to a fault through a decade of government law breaking, and has now given the Obama administration an additional two years to develop a legal plan. But the administration should be shamed by his judgment: "The history of the Federal Defendants' lack of, or at best, marginal compliance with the procedural and substantive requirements of the (Endangered Species Act) ... has been laid out in prior Opinions and Orders in this case and is repeated here only where relevant." With the Endangered Species Act under persistent assault by many in Congress, it is dispiriting when federal agencies - in this case dam agencies - make violating that law a decade-long policy, and doubly dispiriting when the Obama administration goes along. The public damage ripples far beyond this specific case. Ditto for jobs. The West Coast's salmon economy - fishing, food, recreation and tourism jobs - has borne the costs, while the hope its people felt when President Obama took office has been disappointed. Since 2006, salmon businesses have used the Endangered Species Act to protect and create jobs, winning interim salmon measures from Judge Redden that have boosted fish numbers. But the Obama administration, like its predecessor, has opposed these job-creating actions. The same goes for taxpayers. 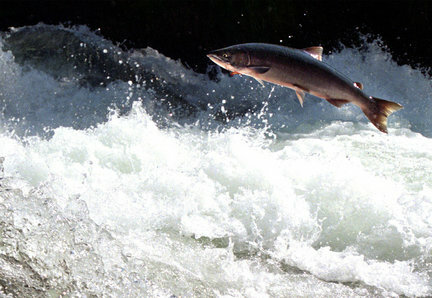 Over the past decade, Americans have spent about $10 billion implementing flawed salmon plans. This is the largest endangered species program in America; it should be lawful and science-based, so that the public investment is repaid with actual salmon recovery. Now, thanks to Judge Redden, this past can become a prologue to needed change. President Obama's team has a second chance to restore salmon and create jobs. First, they can quickly start work under the court's order with those who won the case - the state of Oregon, the Nez Perce Tribe, and fishing and conservation groups - to build a better plan. The court ordered the new plan to closely examine changes at the federal dams, including removal of four dams on the lower Snake River. Second, they can begin parallel stakeholder talks among fishermen, farmers and energy users on a broader agreement in which job creation is a core goal. Leaders like Oregon Democratic Gov. John Kitzhaber and Idaho Republican Sen. Mike Crapo support a collaborative approach and stand ready to help. Collaboration is hard work and takes time, but it has succeeded on other tough issues and the court has provided two years. It can accomplish the goal if work starts now. And if the administration brings to the table three basics missing from federal policy to date: real willingness to consider changes at federal dams; a team committed to working with farmers, fishermen and energy users toward solutions; and practical, hands-on politics that turn a Columbia/Snake salmon "problem" into an opportunity for job creation in salmon recovery, clean energy and water use. Pat Ford is executive director of the Save Our Wild Salmon Coalition, a 20-year collaboration of fishing, business and conservation groups to restore wild salmon for use by people and ecosystems.